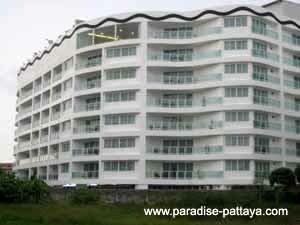 There are thousands of Pattaya apartments and condos from very cheap to very expensive. Are you planning to stay long term in Pattaya and you are looking for an Apartment in Pattaya? 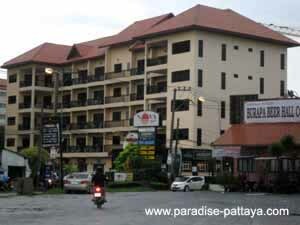 There are online companies where you can rent Pattaya apartments from. • where the Apartment Complex is located. Actually - I would still want to see the Apartment since I am going to live there, right? Looking at how much rent these company charge will give you a pretty good idea of how much you can expect to pay and I guess if you know the area and the company it may be alright renting from one of them. Like with anything else that has to do with real estate...location, location, location. There are so many different kinds of Pattaya apartments available and in many different locations that it may be a good idea to actually check out the apartment and the location of the apartment. A friend of mine rented an apartment in Pattaya for 6 months without doing the proper research and without taking the time to check out the area at different times of the day, or night for that matter. The apartment had a beautiful large balcony and bamboo love chairs with sweet little pinkish colored pillows on it. What he didn't know was that the balcony that he was facing a karaoke bar! He was looking forward to relaxing on it in the evenings too. The bar was closed during the day and didn't display a sign. I guess the good thing was that he did not need to use his own electricity to play his own music. He owns a nice stereo system and likes classical music. Music and Karaoke came free of charge until late in the mornings. Have you ever listened to drunk Karaoke singers at 3 A.M when you are not drunk? ...sounds lovely. It can be a lot of fun when you are part of the action but it may not be so much fun when you want to sleep. Take a few days and ride around Pattaya on your Motorbike and get to know the area. You can find really nice inexpensive little gems if you take your time. Even if you think you found the right place - it doesn't hurt to look at a whole bunch so you don't kick yourself later on. Preview 3 dozens if need be before you rent. Take a notepad with you and write down things you like and don't like about an apartment in Pattaya. You can find an apartment that is very inexpensive and very nice if you are on a budget. It should be clean, should have everything You need in its vicinity, have good tenants, decent furniture, and should be run by a good Manager or Management. When you are on the road checking out apartments in Pattaya you will find that many are full, occupied, don't have vacancies. Those are usually the good ones, but don't fret there are many more and they keep building them. Apartments in Pattaya pop up all over the place. Take a notepad with you when you check out the apartments in Pattaya and take notes of the ones you like. Get the manager's business card. Most of the Managers, especially in the larger apartment complexes, speak some or pretty decent english. Prices vary depending on size of the apartment and what it is equipped with. Is it furnished European style or Thai style? It will be difficult to find an apartment for less than 3,500 Baht that may be suitable for most Westerners. Many apartments are not advertised anywhere and that's why you have to go hunting. Apartment complexes or houses all have a Manager or owner that you will have to find. Some of the smaller apartment houses with 20-30 units could be just what you are looking for. I have seen very nice Pattaya apartments for under 4,000 Baht a month and some may not believe this but if you look at many apartments you may find one that is inexpensive and nice and clean. • Visit The apartment during different times of the day and night! • Are there any additional costs? I.e. when you are moving out. • Check Power and appliances if any. Are there enough outlets? Make sure that you don't pay money down until you know 100% that you'll move in. Get a copy of the apartment rules if they have one. Check the water in the shower, toilet and kitchen. Make sure there is safe parking for your vehicle. Talk to others in the complex or apartment house. Finally - check if it comes furnished of if you need to buy your own furniture or appliances. A great alternative to Pattaya apartments is renting a condominium. Condominiums can be rented in different price ranges just like apartments in Pattaya. Condos can be found close to the beach and they come with amenities that apartments don't have. I.E swimming pool, 24/7 security, gym and many more. You may also want to consider buying a condo. If you plan on making this place your new Home-Sweet-Home or new second home - that is. There are condos for less than one million baht in Pattaya up to millions of Baht.